Juan Gris, one of the most prominent Cubist painters of the 19th and early 20th centuries was a Spaniard who was born in Madrid but elected to stay and work in France for a major part of his life. His actual given name was José Victoriano Carmelo Carlos González-Pérez and he was born on March 23, 1887. He only adopted the name Juan Gris in 1905. Gris was skilled as a painter and as a sculptor. At the age of 15, Juan Gris took up mechanical drawing at Madrid’s Escuela de Artes y Manufacturas for two years. At the same time, he was already contributing his drawings to some periodicals. In the following two years, he studied painting from José Moreno Carbonero, a well-known Spanish figure, portrait and landscape painter who also taught Salvador Dali. Juan Gris was only 19 years old when he decided to move to Paris. There, he became acquainted with fellow Cubist painters, such as Henri Matisse, Fernand Léger and Georges Braque. He also followed what his friend and fellow Spaniard Pablo Picasso and submitted satirical cartoons to several French journals such as Le Cri de Paris, Le Charivary, L’assiette au beurre and Le Rire. Cubism was an art movement that was started by the shy and introverted Paul Cézanne, whose work were often misunderstood. People thought them too avant-garde and modern, especially since most of them, at least initially, were dark and somber, with thick layers of paint, undefined forms and simplistic approach by breaking things down into geometric shapes. In 1911, at age 24 he was painting seriously after giving up on doing satirical cartoons and started to develop a Cubist style of his own. 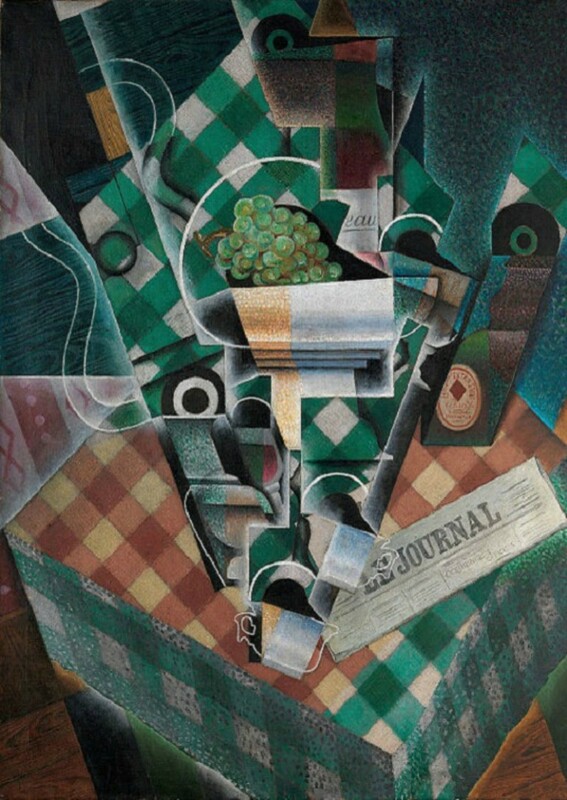 When he exhibited “A Life of Picasso,” writer John Richardson commented that the importance of numbers in painting, which was evident in the work of artist Jean Metzinger in his “Le goûter” was reflected in this particular work of Juan Gris. Art historian Peter Brooke said that Juan Gris had two styles. One has a grid structure that reflected the styles of Metzinger and Goûter. In his other style, the grid could still be seen but the lines were not clearly defined. Their continuity was also broken, more often suggested by heavy triangular lines with angular shading. Both of these styles were different from the works of Braque and Picasso because there was still a clear, measurable and rational quality to them. In the beginning, the style of Juan Gris was Analytical Cubism, a term that he himself coined. He converted to Synthetic Cubism in 1913 and became a solid interpreter of the movement and often used papier collé (collage) in his works. He elected to paint in harmonious and bright colors that was not unlike the new and daring combinations that were favored by Henri Matisse. Braque and Picasso on the other hand were still content to paint in monochrome. He also preferred to have order and clarity to his paintings, which influenced the purist style of other French Cubists like Charles Edouard Jeanneret, also known as Le Corbusier and Amédée Ozenfant. There are also several modern artists that were influenced by his art, including 20th century Swiss painter Paul Klee, who not only experimented with Cubism but also with Expressionism and Surrealism. Juan Gris was not only a sculptor and painter, he also designed theater sets. His first foray into the medium was in 1922 when he designed the ballet costumes and set for Sergei Diaghilev, the founder of Ballets Russes. He also voiced out his aesthetic theories in 1924 and 1925 by giving lectures. His definitive lecture, “Des possibilités de la peinture,” was delivered in 1924 at the Sorbonne. Among the Cubist painters, Juan Gris was distinguished as the greatest theorist, which contributed to him securing a place as one of art history’s leading figures in the early part of the 20th century. 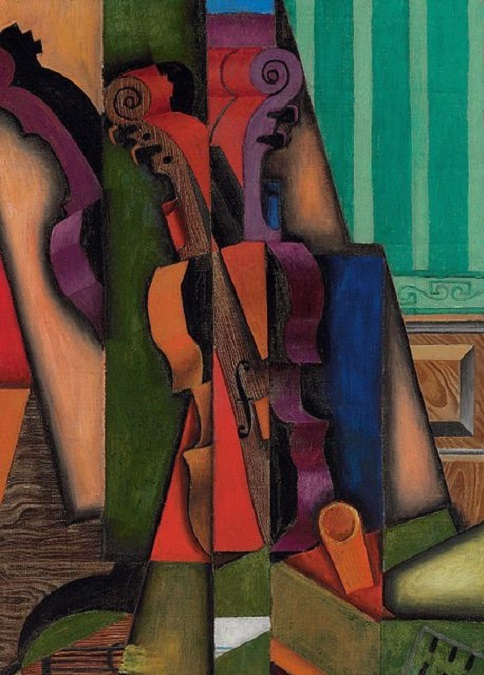 His “Still Life with Checked Tablecloth” (Nature morte à la nappe à carreaux) that he painted in 1915 carried an auction price of US$57.1 million while his 1913 painting called “Violon et guitar” held a previous record of US$28.6 million. Juan Gris succumbed to renal failure in 1927 at the age of 40.